Tulane baseball has historically been quite competitive. Since the 2010 campaign, the team has completed an impressive six winning seasons. In 2005, the team made it to the second round in the College World Series. While Tulane has the opportunity to rebound from 2017’s losing streak this year, the Green Wave seemingly cannot decide whether it wants to continue its longstanding role as an elite squad or falter to a level at which it struggles to compete with lackluster programs. The 2018 season started with a bang as the Green Wave swept a three-game series with Wright State University, a program that played in the NCAA baseball tournament alongside Tulane in 2016. With a clean sweep of a high quality program, Tulane seemed to be in good shape. This, however, proved not to be the case. Following the match-up with Wright State, the Green Wave took on the University of Mississippi for another three-game series. The Rebels held no reservations as they swept Tulane. 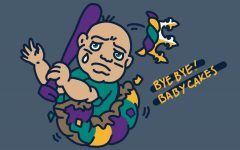 This sweep put the Wave back at the .500 mark and gave fans the impression that the team was nowhere near elite status. Luckily, Tulane swiftly recovered from its fall at Ole Miss in a two-game series against Lamar University. The Green Wave returned to its winning ways with a dominant sweep of its own, finishing off the Cardinals at home 7-1 and 6-2. 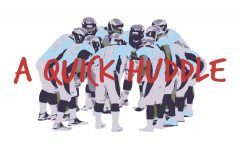 This was one of the few predictable events from the fledgling 2018 season. The Green Wave continued its home stand the following weekend with a series against the California State University-Fullerton Titans. Fullerton is typically an elite program, but the Titans were off to the worst start in school history at the time they faced Tulane. While this poor start could have been an opportunity, the Wave did not capitalize, dropping the first two games of the series. Tulane came back to win the final game, but this was largely due to Cal State sitting several starters due to curfew violations. Since this series, Tulane has only continued to be defined by inconsistency. 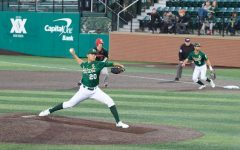 The Green Wave dropped its next most recent two midweek games against Southeastern Louisiana University and the University of New Orleans. 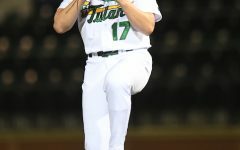 Following these two surprising losses, the Wave performed a 180 yet again and won its weekend home series against the Purdue University Boilermakers, a member of the baseball-powerhouse Big Ten Conference. Predicting the Green Wave’s performance in this season has been next to impossible. The Wave has been consistently dropping games it should win, such as the loss against the University of New Orleans, but also winning games it should not, such as the series win over the Purdue Boilermakers. While the season is still quite young, Tulane fans, as of now, look to be in for quite the wild ride in this 2018 season. The Wave sometimes looks to be among college baseball’s elite, but other times the team is in rough waters. The Green Wave is in its second year under head coach Travis Jewett. While the team ranked at No. 19 just one season prior to Jewett’s hiring, Tulane must begin to show some signs of consistency to leave a mark in this 2018 campaign. Until then, brace for impact. This ship is headed into high seas.